In fact, it's safe to say I have a bit of a vegetable addiction. Now now, don't call the crazy police on me - there's a good reason why I love vegetables (because when I was a kid, you could count the number of veggies I liked on one hand!) - and that reason is because I know how to cook them. You see, a plate full of steamed veggies is great once in a while - but when they're served up night after night, you start to get sick of them. Too many people give vegetables a bad rap - and it's for this very reason! Veggies don't have to be boring and, in fact, they can become the star of your meal instead of just a side. 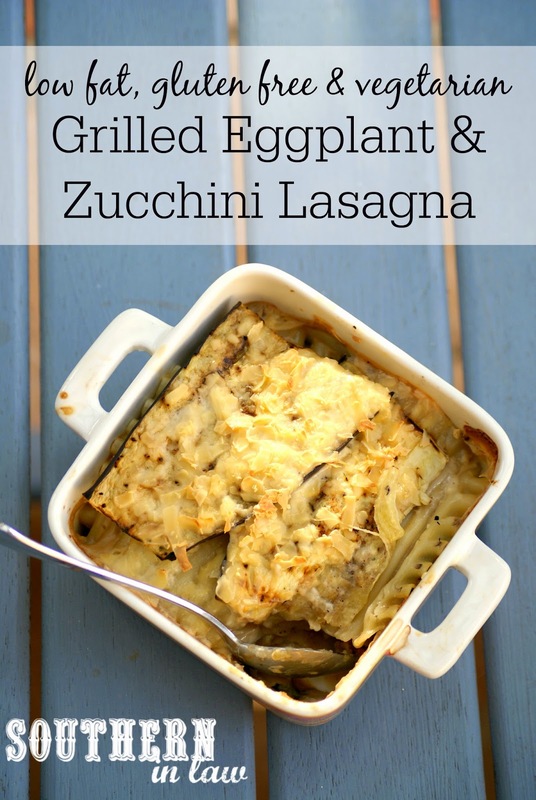 This Grilled Eggplant and Zucchini Lasagna Recipes is one of those recipes where the vegetables become the star. In fact, this is one dinner dish I would (and do) happily eat week after week after week because it's ridiculously delicious - and it's also way easier to make than you'd think. All you need is five main ingredients and before you know it you'll have a delicious cheesy lasagna that's full of flavour. Preheat your oven to 180C/355F and set aside a small single serve baking dish (or larger if you're multiplying!). 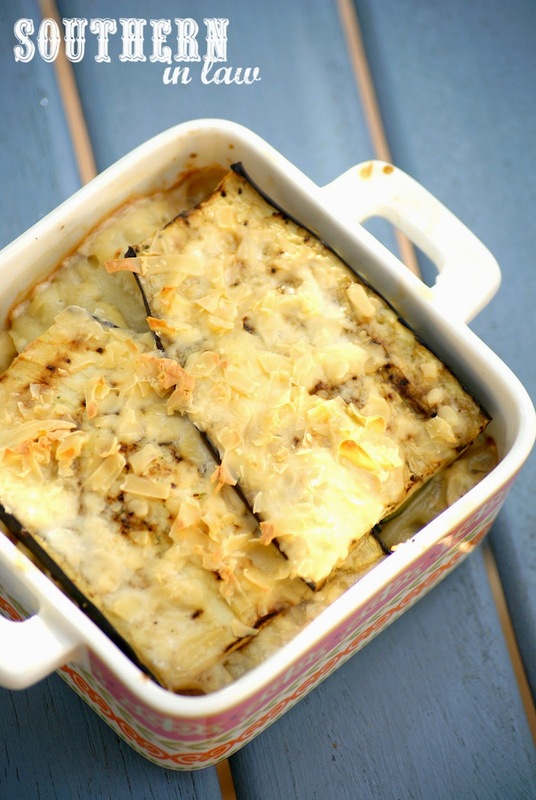 In a medium fry pan or grill pan, grill your eggplant and zucchini slices until just softened, about 1-3 minutes per side depending on thickness. Whilst you're cooking your veggies, cook your lasagna sheets as per package instructions, however, only cook them for 3/4 of the recommended time (for example, if they say cook for 10 minutes, cook for 7-7 1/2 minutes) and then drain and rinse. When your vegetables and lasagna sheets have cooked, set them aside ready to assemble your lasagna. In a small saucepan, melt your cheese in your milk over a medium-high heat, stirring until your cheese has completely melted and removing the pan from the heat. 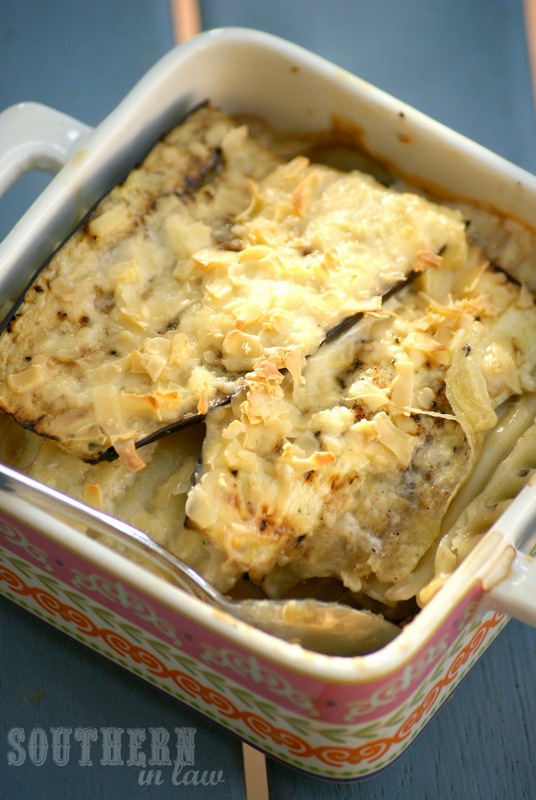 Layer your veggies, cheese sauce and pasta sheets in your baking dish, topping with additional cheese if desired. We usually start with the veggies, then add pasta and sauce and repeat until all of the layers are used up. Place your baking dish into the oven and bake for 15-20 minutes or until your sauce has thickened up and your pasta sheets are soft and your cheese on top is melted and golden. If your lasagna seems to be browning too quickly, place a sheet of baking paper and then foil on top of your baking dish to allow the lasagna to cook through before removing both the foil and baking paper to brown the cheese at the end. *You'll want to use a cheese which melts really well. Generally speaking we use cheddar cheese, however, our favourite cheese to use is this smoked cheddar as it's super creamy and melts really well. But tell me, what's your favourite way to eat veggies? And what's one dinner dish you could eat over and over again? As for fave dinners? This is definitely a favourite for me whilst Jesse's absolute favourite has to be our Chicken and Bacon Rice Bowls which he, Katrina and I are having tonight! 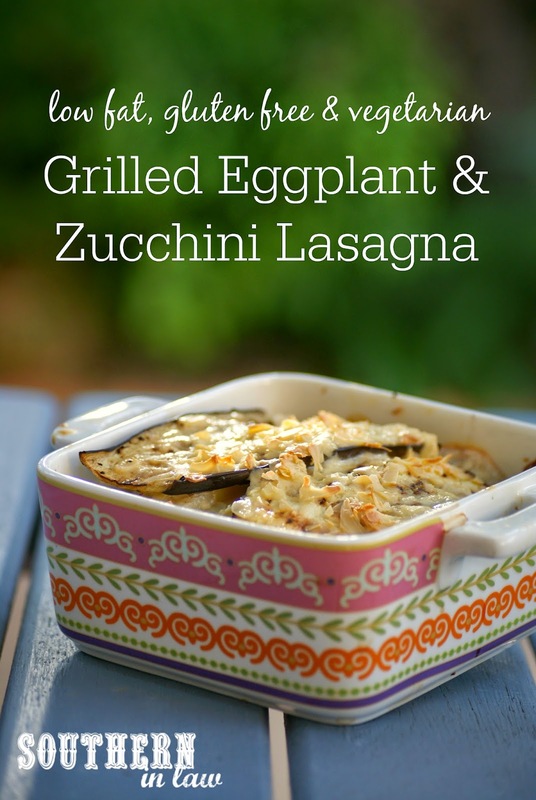 I absolutely love eggplant! This sounds so delicious! It is so so good!